TWO OF THE internet’s most beloved TV series ended up in a totally unexpected Twitter clash last night. Netflix siblings House of Cards and Arrested Development left their adoring fans feeling rather amused when they traded friendly blows online. It all started with an innocent enough tweet from Arrested Development star – and House of Cards fan – Tony Hale. And a rather ominous reply from House of Cards. Never one to miss out on an opportunity for some witty fun, Arrested Development soon arrived on the scene for a jovial exchange. Which was followed by yet another shady declaration. Strong words from its Netflix sibling were enough to prompt Arrested Development to up the game, pulling out the House of Cards references to hit the show where it hurt. Of course, House of Cards wasn’t long showing the comedy that it knew its TV trivia too. Then things got VERY shady. And drastic action had to be taken to bring the whole thing to a close. It seems that threat might just have been enough to send Frank Underwood running. 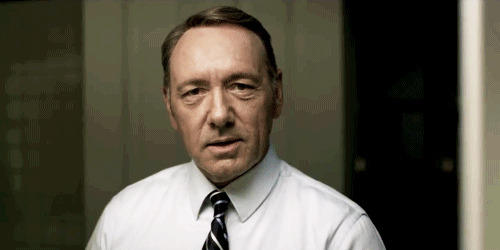 Email “Arrested Development and House of Cards had a war of words on Twitter”. Feedback on “Arrested Development and House of Cards had a war of words on Twitter”.